MAKE ME BRIDAL respects your privacy and is committed to protecting your personal data. This privacy notice will inform you as to how we look after your personal data when you visit our Site (regardless of where you visit it from) and tell you about your privacy rights and how the law protects you. This privacy notice aims to give you information on how MAKE ME BRIDAL collects and processes your personal data through your use of this Site, including any data you may provide through this Site when you complete the registration/sign up form. 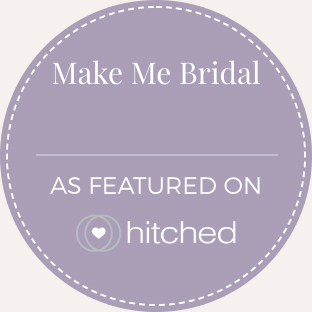 MAKE ME BRIDAL is the controller and responsible for your personal data (collectively referred to as MAKE ME BRIDAL “we”, “us” or “our” in this privacy notice). We have appointed a data privacy manager who is responsible for overseeing questions in relation to this privacy notice. If you have any questions about this privacy notice, including any requests to exercise your legal rights, please contact the date privacy manager using the details set out below. The data protection law in the UK will change on 25 May 2018. Although this privacy notice sets out most of your rights under the new laws. It is important that the personal data we hold about you is accurate and current. Please keep us informed if your personal data changes during your relationship with us. This Site may include links to third-party Sites, plug-ins and applications. Clicking on those links or enabling those connections may allow third parties to collect or share data about you. We do not control these third-party Sites and are not responsible for their privacy statements. When you leave our Site, we encourage you to read the privacy notice of every Site you visit. Personal data, or personal information, means any information about an individual from which that person can be identified. It does not include data where the identity has been removed (anonymous data). In order to use this Site, you must first complete the registration/sign up form. During the registration process, you are required to give contact information such as name, address, phone number and email address. This allows us to provide services and features that meet your needs, and to customize our service to make your on-site experience safer and easier. We only collect personal information about you that we consider necessary for achieving this purpose. We may collect technical information that has the potential to identify you, such as the internet protocol (IP) address used to connect your computer to the internet, your login information, browser type and version, time zone setting, browser plug-in types and versions, operating system and platform. We may also collect information about your visit, including the full uniform resource locators (URL) clickstream to, through and from our Site (including date and time). We use this information to do internal research on our users' demographics, interest, and behaviour to better understand, protect and serve you and the marketplace. If you choose to post jobs on this site, or apply for jobs on the Site, we collect information about your activity and behaviour. We also collect other users' comments about you in our feedback area. If you send us personal correspondence, such as emails or letters, phone calls or if other users or third parties send us correspondence about your activities or postings on the Site, we may collect such information into a file specific to you. We may use your information to respond to you, regarding the reason you contacted us. Where we need to collect personal data by law, or under the terms of Make Me Bridal User Agreement we have with you and you fail to provide that data when requested, we may not be able to perform the agreement we have or are trying to enter into with you. In this case, we may have to cancel a product or service you have with us but we will notify you if this is the case at the time. You can ask us or third parties to stop sending you marketing messages at any time by logging into the Site and checking or unchecking relevant boxes to adjust your marketing preferences or by following the opt-out links on any marketing message sent to you. Where you opt out of receiving these marketing messages, this will not apply to personal data provided to us as a result of signing up to our website, submitting an enquiry to our artists or using the services we provide on the website. Google Analytics for marketing analytics and research into how users interact with the site to help improve our services.